How you physically carry your heart, very much depends on what you are holding in your heart. If you have a dark, broken or hurt heart, your body will reflect this pain. We will learn about Divine Alignment and how to have our Virtuous Hearts Rule, thus bringing light and support to our hearts contents, helping us to heal and be whole! 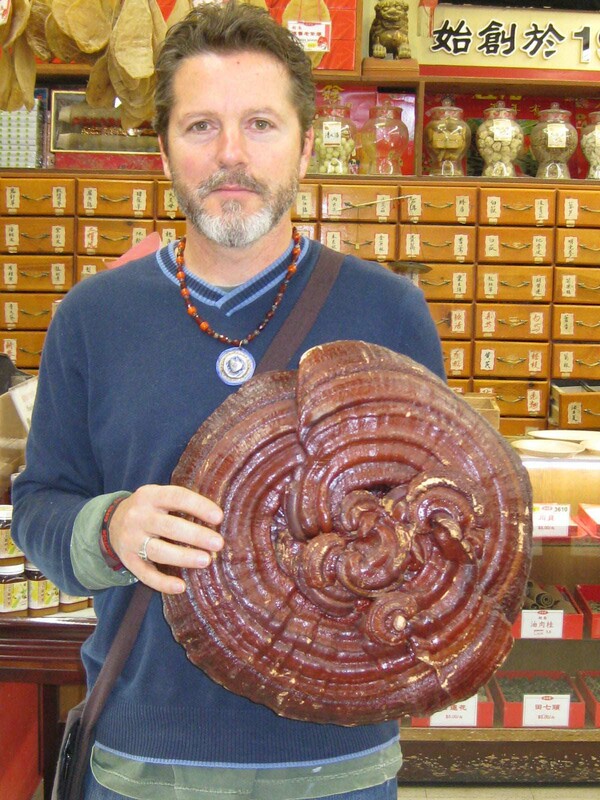 Master herbalist George Lamoureux is the founder of Jing Herbs. 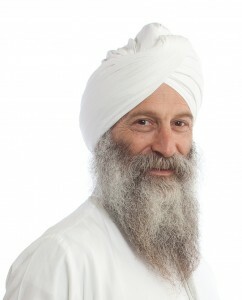 George has been a tonic and clinical herbalist for two decades. He holds a Masters degree in Traditional Chinese Medicine and Acupuncture from the prestigious Yo San University and holds certification from The National Certification Committee for Acupuncture and Oriental Medicine. George studied under the well known Taoist Masters Daoshing and Maoshing Ni. During his studies with the Ni brothers, he was the recipient of many of the Ni family traditions handed down in an unbroken line of 38 generations of Chinese physicians. After graduating from Yo San University, George embarked on post graduate studies in gynecology and fertility with Bob Flaws. 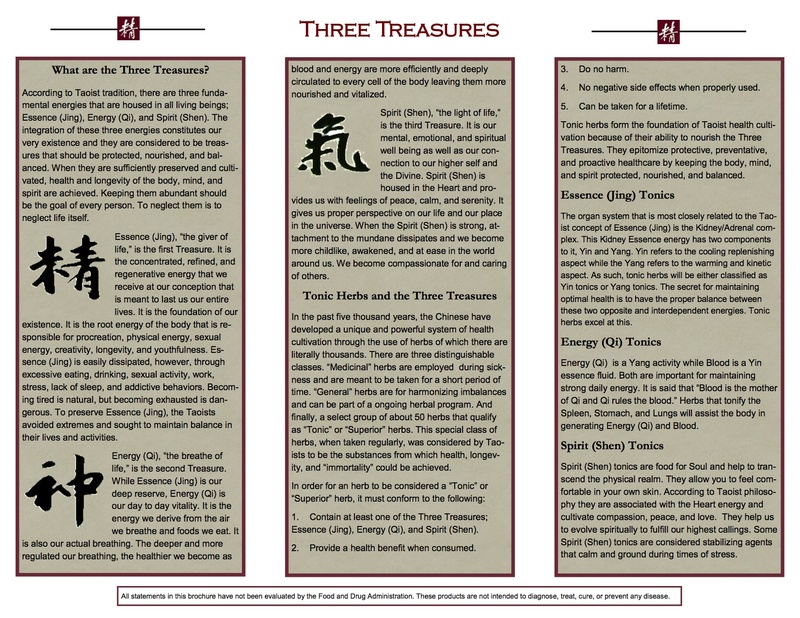 He continues to consult on these issues and all conditions in the realm of Traditional Chinese Medicine. In 2002, George incorporated Jing Herbs to establish a company that would be true to the teachings of his Masters both modern and ancient. In 2008, after many years of researching and formulating, the company commenced ongoing operations. The company was founded on the ancient herbal traditions of the Taoist sages with their 5,000 year old emphasis on the use of Tonic herbs as super foods for the enhancement of health and longevity. 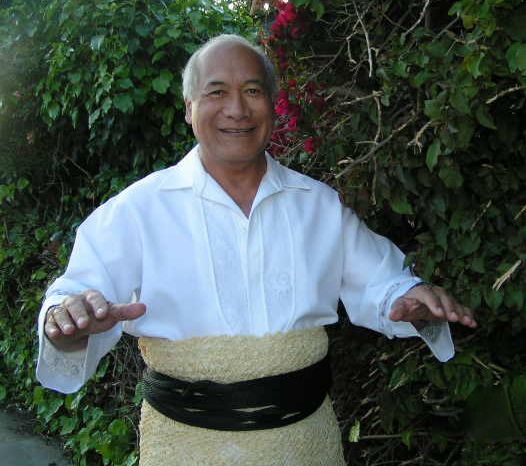 In 2011 George became a certified Medical Qigong Practitioner, he studied and was certified by Taoist Master Dr. Bernard Shannon of the International Institute of Medical Qigong. George is a much sought after trusted authority on Traditional Chinese Medicine and Tonic Herbs. He has lectured to audiences across the country and in Europe. 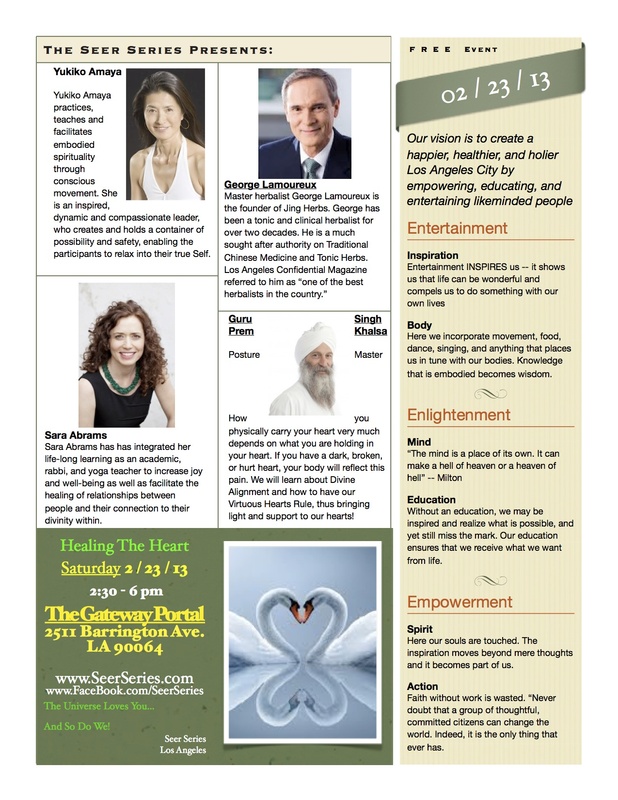 George is also a frequent speaker at his good friend David Wolfe’s Longevity Conferences. Los Angeles Confidential Magazine referred to him as “one of the best herbalists in the country”. 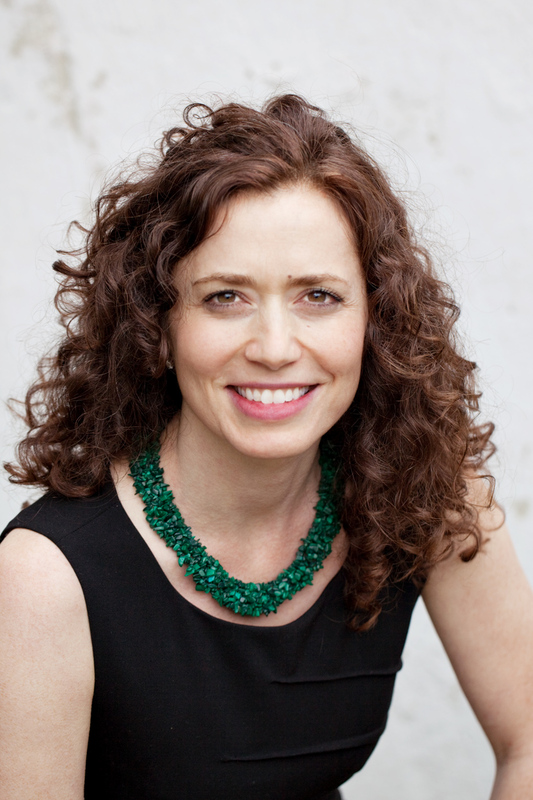 Sara Abrams has trained as an academic, a rabbi, and a yoga teacher. A life long spiritual student and seeker, Sara uncovered a deep connection to the divine 3 years ago which focused her training as a Reform rabbi on bringing people into closer contact with the Divine and the healing power of the Eternal Light as expressed through Jewish mysticism. Most recently, she has integrated her learning into sessions that interweave guided meditations, mystical and Biblical texts, and sacred Hebrew chanting. Through this work, Sara seeks to increase joy and well -being as well as to facilitate the healing of relationships between individuals and their connection to the divinity that lies within. 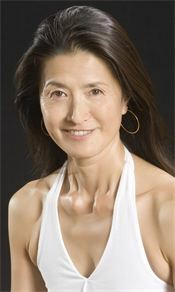 Yukiko Amaya practices, teaches and facilitates embodied spirituality through conscious movement. She is an inspired, dynamic and compassionate leader, who creates and holds a container of possibility and safety, enabling the participants to relax into their true Self. She feels that the path to greater awakening is through a knitting together of our mental, emotional, spiritual, physical and energetic bodies, enabling us to widen out from a fixed and static place of fear-based beliefs. Her eclectic teaching style includes her years of training in martial arts, modern dance, shamanism, tantra, yoga, and meditation. She is a certified Soul Motion™ (conscious movement practice) teacher, yoga and meditation teacher, energy healer, and spiritual life coach. For more info., visit: http://www.SundariSacredArts.com SOUL MOTION™ class: “ Dancing into Connection” We all have our fears about how we are perceived, and if we belong. In Soul Motion practice, we’ll turn this around and start to sense the world and ourselves from the inside out, dropping into our heart and belly, listening to and moving from our own stillness and rhythm. Our magnificent bodies are constructed to embody both the vertical line of Consciousness and the horizontal expansion of Relationship. Becoming aware of breath, gravity, and movement of energy, we will slowly spiral our way into connection, expansion, and creation of this movement moment. No prior dance experience necessary. Come in easy to move clothing. Soul Motion Heals The Heart! Yukiko Amaya practices, teaches and facilitates embodied spirituality through conscious movement. She is an inspired, dynamic and compassionate leader, who creates and holds a container of possibility and safety, enabling the participants to relax into their true Self. She feels that the path to greater awakening is through a knitting together of our mental, emotional, spiritual, physical and energetic bodies, enabling us to widen out from a fixed and static place of fear-based beliefs. Her eclectic teaching style includes her years of training in martial arts, modern dance, shamanism, tantra, yoga, and meditation. She is a certified Soul Motion™ (conscious movement practice) teacher, yoga and meditation teacher, energy healer, and spiritual life coach. We all have our fears about how we are perceived, and if we belong. In Soul Motion practice, we’ll turn this around and start to sense the world and ourselves from the inside out, dropping into our heart and belly, listening to and moving from our own stillness and rhythm. Our magnificent bodies are constructed to embody both the vertical line of Consciousness and the horizontal expansion of Relationship. Becoming aware of breath, gravity, and movement of energy, we will slowly spiral our way into connection, expansion, and creation of this movement moment. No prior dance experience necessary. Come in easy to move clothing.